Wow Walls, Ceilings and More! Spring Chicken Restaurant – Miami, FL. 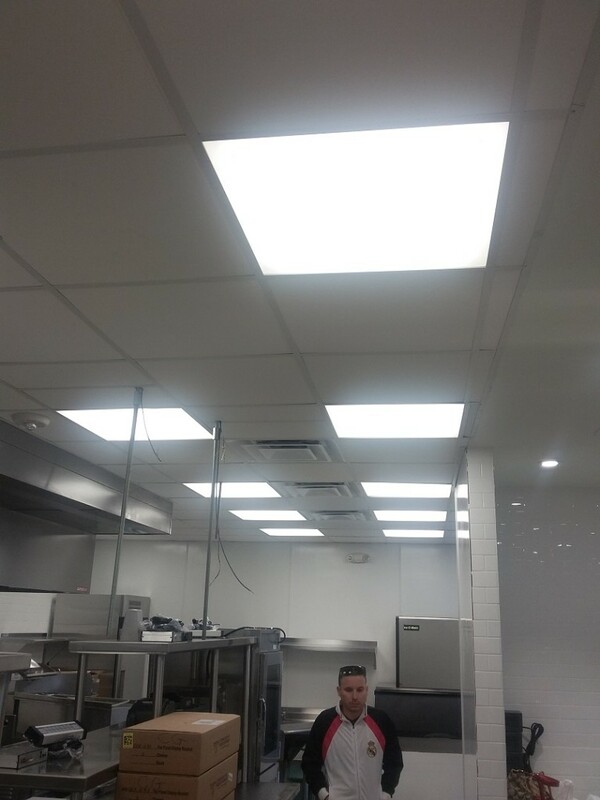 Installed in the food preparation area to provide bright even lighting and extremely low heat emissions. 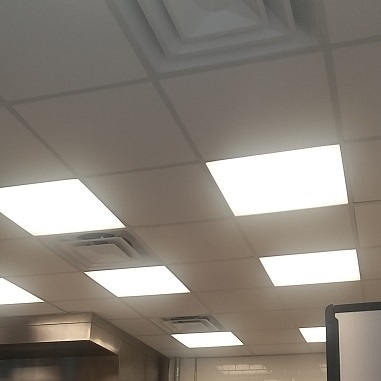 Our LED Ceiling Tile product fits snugly into ceiling tile grid and can be gang- connected to a transformer. The lighting surface is even with the ceiling plane and fits seamlessly. For installations from 110v to 277v. 5 year limited warranty with 50,000 to 100,000 hours of expected use. Installations have had 5 years use WITH NO SERVICE ISSUES!!!! 90 CRI available for experimental and teaching laboratories for empirical evidence readings. Co-designed by VerticalVisions.biz, these wonderfully flat (1 1/4″) LED light panels fit snugly into standard ceiling tile grid. 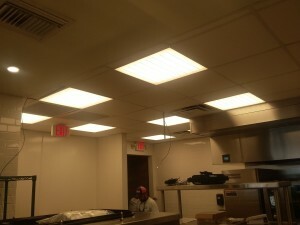 The LED strips are facing reverse and reflected to deliver extremely even lighting the panels are known for. Durable, washable and vapor resistant, the “WOW” Lights take seconds to install and hook up with hard-wiring in place. Heat emissions (or lack of) is what makes this product desirable in high heat and moisture environments like commercial kitchens, warehouses, and industrial shop floors and offices. Check out our cut sheet for the VerticalVisions.biz “WOW” Lighting products. Call 954-532-6253 to order now!